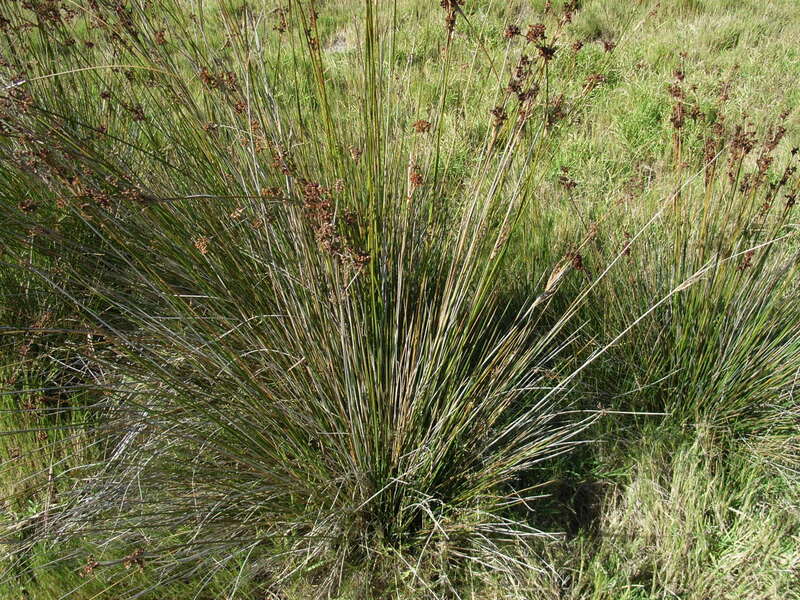 Dark green reed-like plant found at the ‘upper end’ of the salt marsh vegetation. Leaves cylindrical, stem-like and sharply pointed. 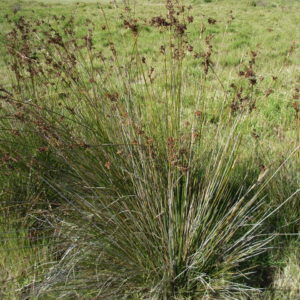 Brown flowers in drooping panicles.